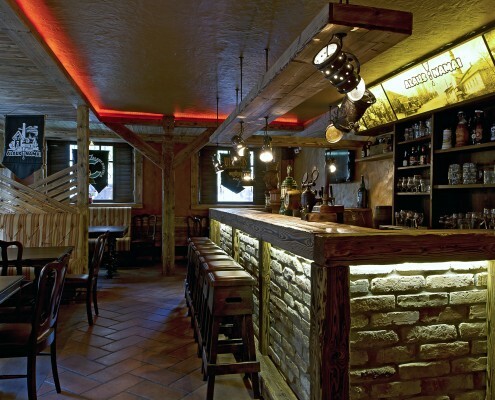 Upon visiting us you will be able to try 18 types of real Lithuanian ales on tap, all of which are produced with only the traditional and natural ingredients that were available to our ancestors centuries ago. At the beginning of each week, the beers come to us fresh from all the independent Lithuanian brewers from the different towns and villages of our country. Additionally, you can also find over a 100 types of imported bottled beers, coming from all across the world. 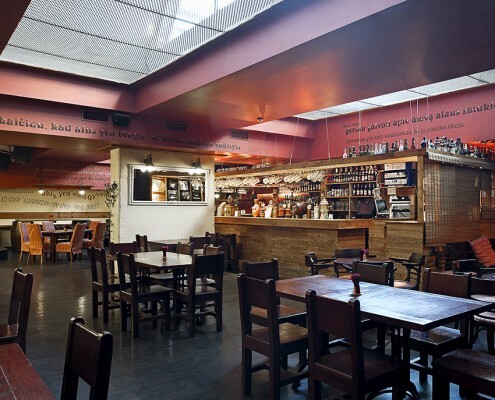 You will find a wonderful Lithuanian kitchen, producing our classic Lithuanian dishes, comprising of over twenty types of snacks to go with your delicious pint as well as main courses to satisfy the seriously hungry. 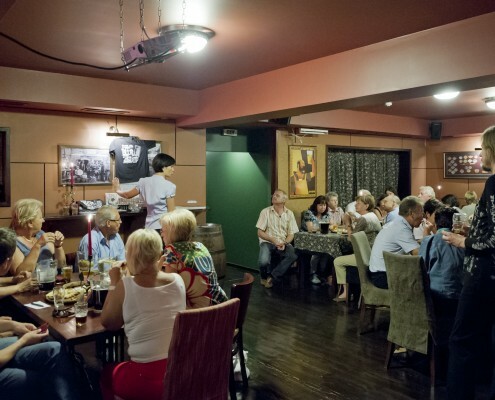 For those wishing to find out more about our beer, the art of Lithuanian brew-masters, or the role of beer in our history books, we invite you to our educational beer tasting sessions, during which you won’t just have the chance to taste up to 10 types of Lithuanian ale, but also to hear from our certified beer experts, the story behind each and every single one of the drinks in your pint glass as well as have your questions answered about anything to do with beer, it’s production, myths, legends and rumors. Alaus Namai also offers our draught range of beer to take away, whether it be for your birthday party, drinks outside, or to treat your underlying alcoholism. Beer can be taken away in 1 litre bottles as well as 30-50l kegs, with equipment such as a cooler and pump, provided by us! 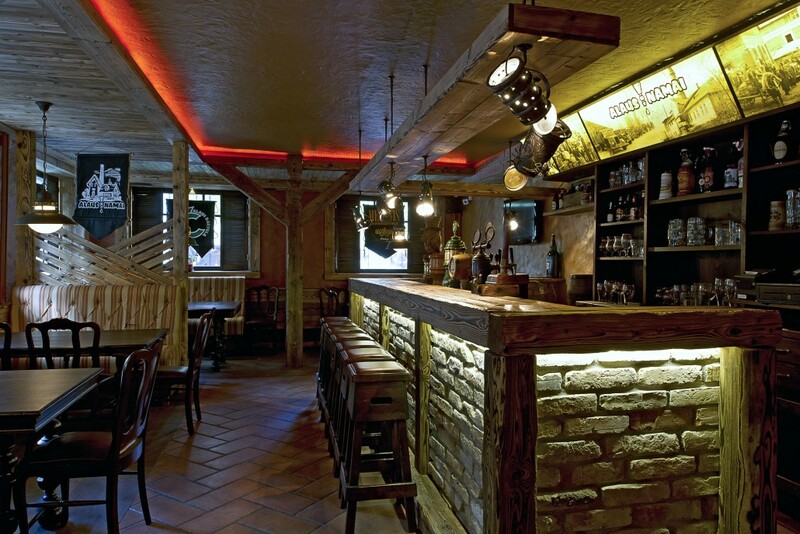 There are three dining rooms in Vilnius Alaus Namai – two of them available for private hire. 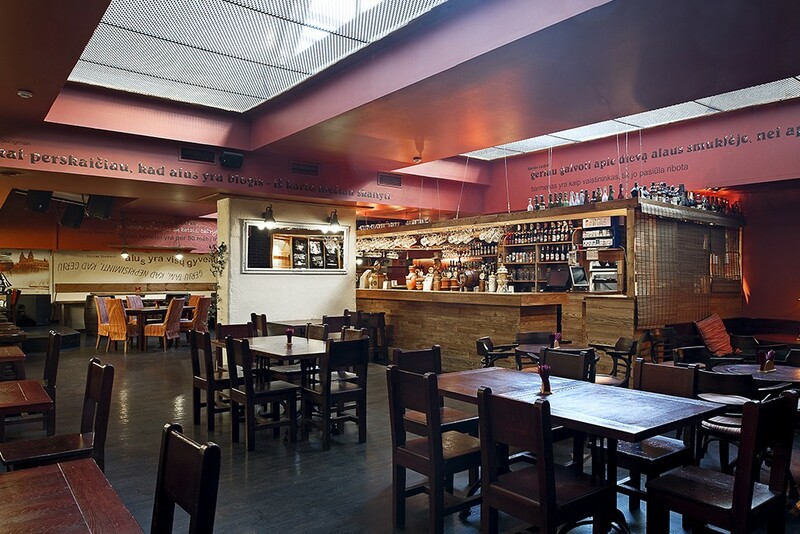 Main dining room – this is the main space of Alaus Namai, where the everyday bar shenanigans are undertaken. It is not normally available for private hire, but do come in and have a pint! The West Room fits about 40 seats or 60 to 70 standing guests for a banquet. It has separate audio and video systems, a projector, TV, as well as a CD/DVD/USB player for all your entertainment needs. If needed, a microphone and other equipment can be provided. This function room is completely separated and has it’s own bathroom facilities. 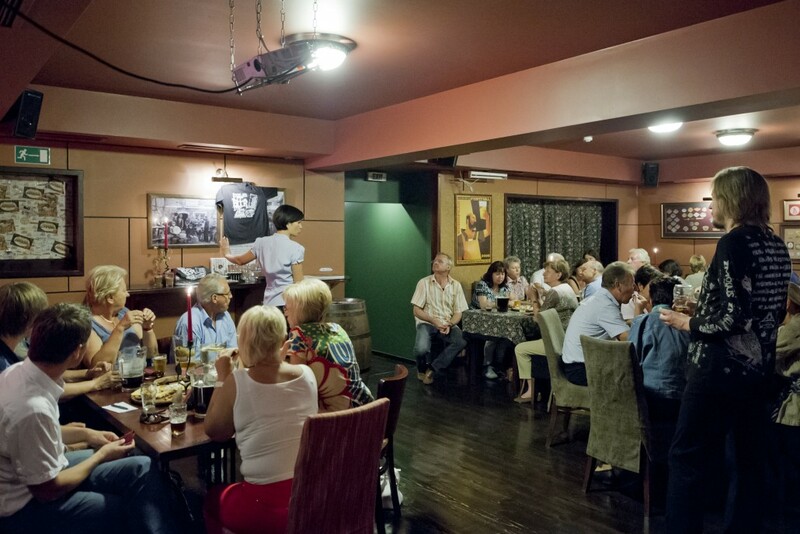 Our third – „Club“ function room – is the smallest of our spaces, housing 27 seats or 35 standing guests. This function room does not only have all the equipment and benefits of the West Room, but also boasts a widescreen TV, custom pub decor and a separate entrance. We do not take bookings over the phone! Bookings are only taken upon your arrival in advance as you will have to leave a deposit of 3 EUR per person. This deposit will be included in your bill at the end of the evening. We recommend to book a table in advance. On the weekends – two to three days in advance and on the weekdays – one day in advance.